Sam "Trump" Harris is a trumpeter and a singer/songwriter from Houston, TX, and has been a student of music for over 18 years. Now residing in Chicago, Trump is a recent Jazz Studies graduate from Columbia College. Currently he is a member of local Chicago band, Sidewalk Chalk, the infamous horn duo, HornBreaD, as well as the Chicago/Portland hip-hop collective, Fangtshida. Trump has been exposed to lots of collaborative recording opportunities, and has performed in many different genres of music. He has also been featured as a singer/songwriter for several open mics and artist features throughout Chicago, and is currently performing on ukelele to promote his upcoming EP, Sam Trump Plays The Uke! 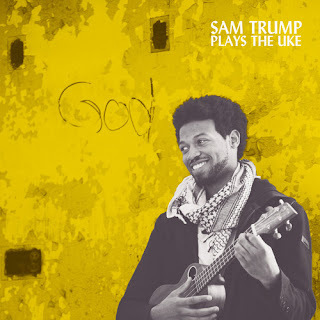 Through his original music, Trump wants to remain innovative, but also convey a sense of musical preservation of down-home soul, juxtaposed to mainstream music of his generation. Trump plans to remain a professional educator and continue to write, perform, and expand as a musical creator.